MERMAID'S PALETTE: Attempting Portrait Painting- Finally! I have been painting for many years, and I love it! I started with watercolors and gouache and then, oils and acrylics. I have just always been very uncomfortable with painting people. I should have faced that fear a long time ago and by now, I'd be finding it easy. 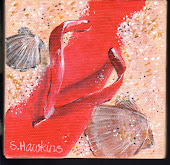 I mostly paint watercolor beaches and still life, and still life in oils. My oil painting teacher said to just treat a face like any other object in a still life- or even turn the painting upside down. No big deal, really. Anyway, I have pretty much avoided painting people and faces- except maybe small people in a beach painting. years. Family matters have been a priority, but now its time to get back into my art. To help with that, in August-AND on my birthday- I became a grandma. 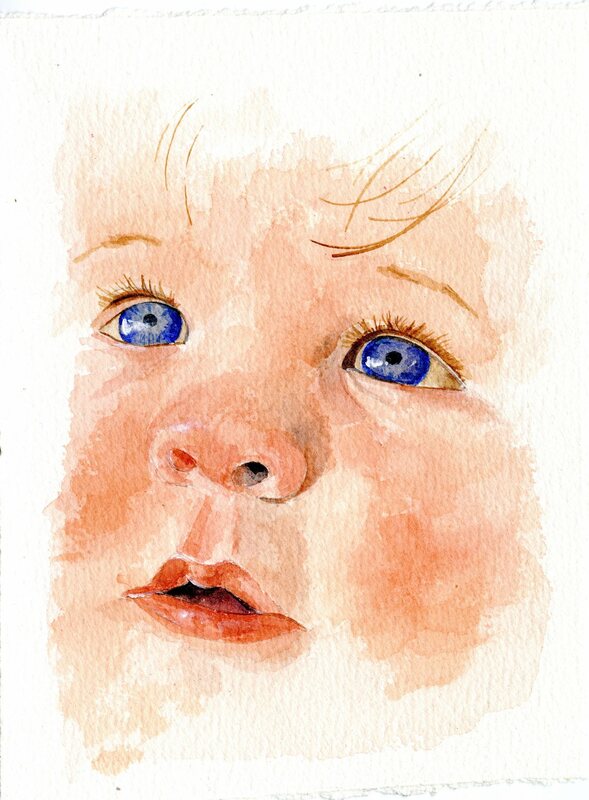 Now that I have the cutest grand baby on the planet (in my totally non biased opinion) to paint- it is time to get over it and start working on painting people! I have a desk full of attempts and do-overs, but all of my practice is starting to pay off. I am starting to have some luck with baby faces and now am working hard at getting a baby face that looks like the baby I am painting specifically. I really am on a mission and hope to be able to paint this sweet baby by the time he gets out of high school. Sheryl, welcome back! I love this baby's face! Congratulations on becoming a grandma! I think you're going to have a blast painting people - especially the cutest grandchild on the planet. I'm looking forward to your next post. Thank you so much for your comments- I love to hear what you think! Wife, proud Air Force mom X 2, California artist. Seahorse Stained Glass Window- Completed!